CEO Carlos Melendez kept running into the same hurdle. Without financing, the company’s up-and-down cash flow cycles would continue to put a stranglehold on the company’s growth.  Unable to obtain financing, Melendez turned to the SBDC for help. Fast forward 18 months later and financing is no longer a problem. With the cash “hurdle” now overcome, the results are phenomenal: sales have doubled from $1.5M to $3M, the company has 10 new employees, and so long as the sun keeps shining, CM Solar Electric’s future is as bright as can be. 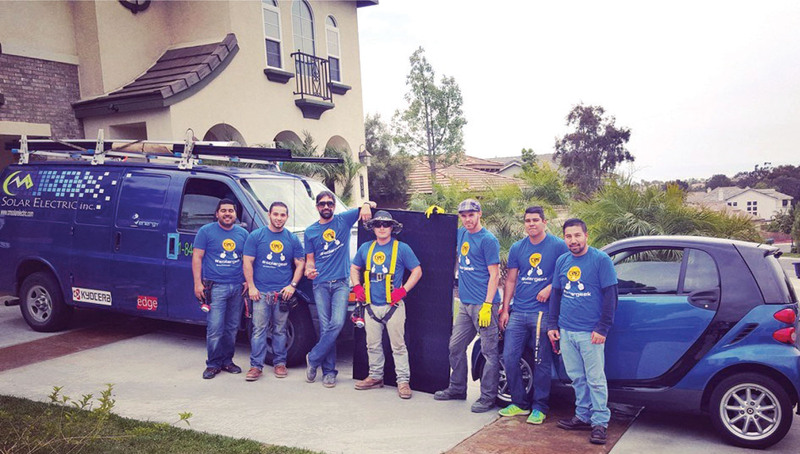 In 2012, after 15 years working as a solar and electrical installer, Carlos Melendez left to start his own company. 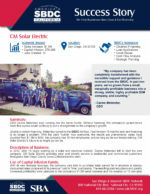 CM Solar Electric provides solar and electric service to residential and commercial customers throughout San Diego County (www.CMsolarelectric.com). With its new financial leverage, the company was able to purchase solar panels far in advance at steeply discounted rates compared to its previous “Just In Time” purchasing. The resulting cost reductions and greatly increased profitability were catalysts to the company’s $1.5M sales increase and the creation of 10 new jobs.